Fractured Atlas is the country’s largest arts service organization, reaching a network of more than 250,000 artists in all 50 states and all 435 congressional districts. Dedicated to empowering artists with the support they need to work effectively and thrive, Fractured Atlas provides funding, insurance, technology, education, and other services critical to building sustainable careers and organizations. 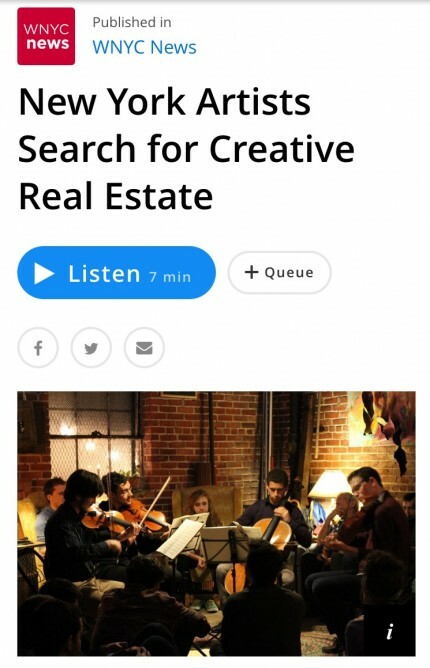 Two PKPR clients - Fractured Atlas and ArtBuilt Mobile Studios - were featured in a WNYC segment looking at innovative programs that are helping artists find affordable rehearsal, studio, and performance space in an increasingly expensive New York City. 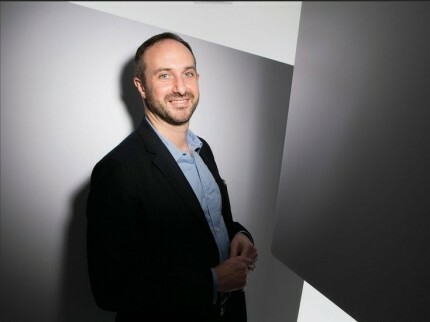 Congratulations to Adam Huttler, founder of Fractured Atlas, who was named to Crain’s New York’s 40 Under 40 for 2016. 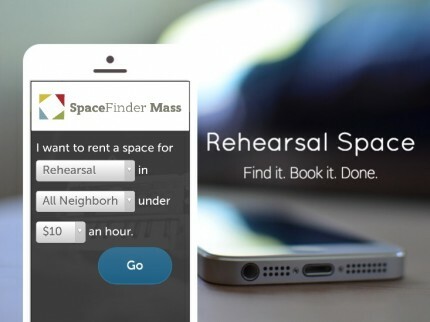 Continuing to empower artists nationwide Fractured Atlas launched SpaceFinder Mass, a powerful new marketing tool for venues seeking to book under-utilized rehearsal and performance space to Massachusetts artists. Coverage included a half-page story by Boston Globe’s Nidhi Subbaraman and an in depth article by BostInno’s Hillary Milnes. Actors, artists, and musicians waiting tables could become a thing of the past if it is up to Fractured Atlas. This summer, the PKPR client is launching a software development fellowship for artists all types aimed at providing a high-paying, in-demand alternative to the restaurant and office temp jobs artists often rely on to help make ends meet between projects. Coverage of the announcement of the call for applications included Metro New York, PandoDaily, Upstart (see video interview below), and Xconomy. 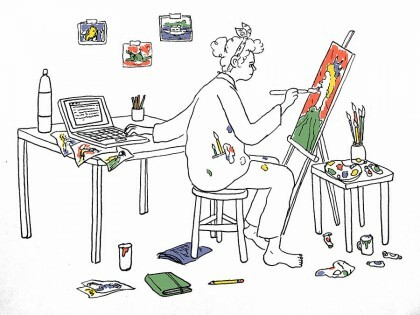 On the heels of Amtrak launching its writer residency program, PKPR worked closely with Fractured Atlas program director Lisa Niedermeyer to develop an op-ed on how more and more artists are taking matters into their own hands by organizing Do-It-Yourself residencies. PKPR placed the op-ed in The Guardian’s popular Culture Professionals Network, where it was shared on social media more than 1000 times. 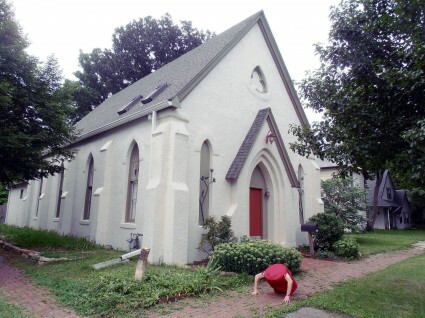 A crowd-funded, pop-up artists colony in a Kansas church, a nonprofit helping artists build financial assets through homeownership, and a fundraising collaborative between nationally recognized arts groups are among the five winners of the first-ever Arts Entrepreneurship Awards, unveiled earlier this month. Coverage of the winners included Fast Company, Back Stage, American Express Open Forum, Public Art Review, The Austin Chronicle, and The Erie Reader. This week’s issue of Backstage features a full-page profile and photo of Fractured Atlas founder and executive director Adam Huttler. 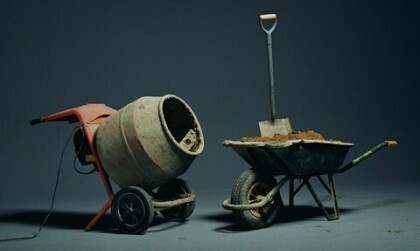 Aiming to give small- and mid-size arts organizations the same technology and marketing power as major cultural institutions, Fractured Atlas last week unveiled Artful.ly, a free, web-based software system that helps arts groups sell tickets, raise funds, and grow their audiences and organizations. PKPR placed exclusive launch day stories in the Wall Street Journal and Fast Company and then secured post-launch stories in outlets ranging from Backstage, Playbill, and Filmmaker to Xconomy, Digital Music News, Hypebot, and IndieWire. 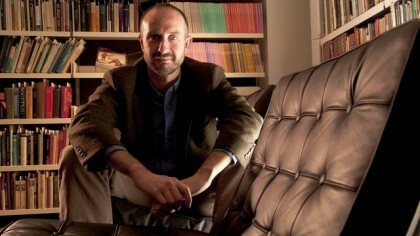 Fractured Atlas Hits the Road! Aiming to both empower artists and better address the challenges facing them, Fractured Atlas, the nation’s largest arts service organization, hit the road for a week of panels, tours, and Meet & Greets across the south. Fractured Atlas made stops at all the major arts hubs in the South, including: Atlanta, Birmingham, Charlotte, Columbia, Louisville, Jackson, and Nashville. Making sure that all local artists got the most out of the tour, PKPR placed stories in every market including: Charlotte Observer, Louisville Courier-Journal, Louisville Public Radio, Nashville Scene, Jackson Free Press, Birmingham News and Columbia Free Times. Fractured Atlas this month launched the first service enabling artists to find, schedule, and rent available rehearsal and performance space based on a wide range of needs, including date, time, cost, and location. 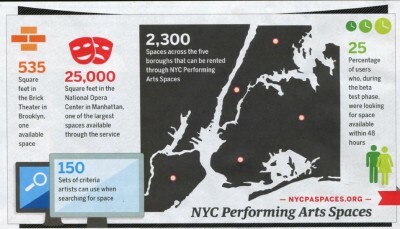 PKPR placed stories on service in a wide range of outlets, including Backstage (check out the awesome infographic above), The Next Web (which dubbed it “an OpenTable for rehearsal space”), Crain’s New York Business, American Theatre Magazine, New York Observer’s Betabeat, DNAinfo, Brokelyn, and Animal New York. Reuters today takes an in depth look at how Fractured Atlas is at the forefront of fiscal sponsorship, an increasingly popular funding alternative that allows artists and small arts groups receive grants and tax deductible donations that are normally only available to 501(3)c organizations. Over the past year, more than 2,000 arts projects have raised nearly $10 million through Fractured Atlas’ fiscal sponsorship program, the largest arts program of its kind in the nation.